The Top Gifts For The Shark Nut In Your Life! Here’s a duo of huge black shark kites from New Tech Kites that’ll make a splash when they take to the skies! The three most special things about these kites are how massive they are (they come in seven and eleven foot long versions! ), how the black outline is a stark contrast against a bright blue sky, and the brilliant touch of adding a few remoras tagging along for the ride. It’s intimidating, perfectly designed, and it looks so much cooler than the standard diamond kite! I’ve said it before and I’ll say it again: Safari makes the best animal replica models on the market. 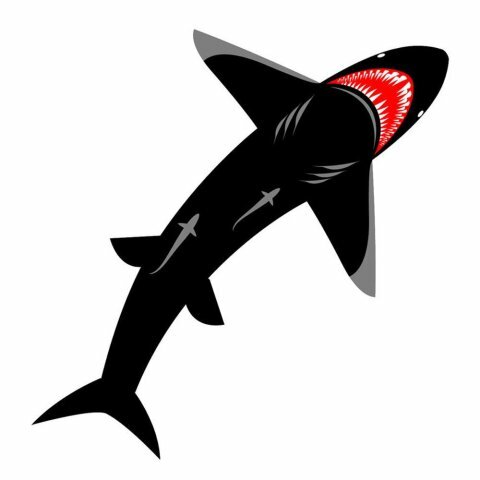 Shark fans will definitely get a kick out of receiving desktop versions of both popular species like the great white and hammerhead, as well as lesser-known sharks like the whale shark and blacktip reef shark. 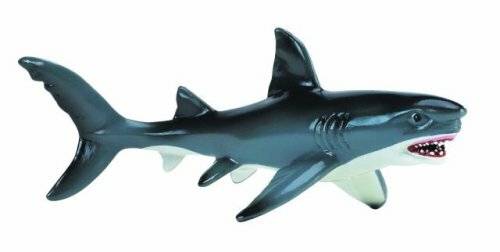 If your shark-nut has a favorite shark, the chances are pretty good that Safari already has a scientifically accurate and professionally painted model waiting for them! 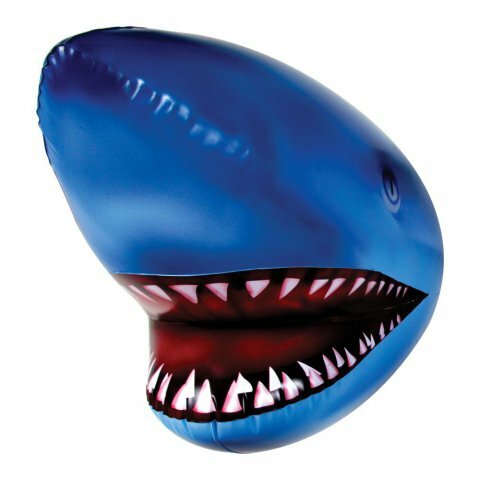 It’s time to crank the goofiness up to 11 with the inflatable shark head from Big Mouth Toys. I actually have one of these things hanging in my office, and I love it! It is a very large inflatable that, at first glance, could be mistaken for an actual piece of shark taxidermy. Mounting the big blue shark head onto the wall was as easy as placing a thumbtack into the wall and looping it under the hole on the rear of the head, and it’s stayed perfectly inflated and large as it looms over my bookcases for years. I’ll bet you’ll be the only one on the block with one of these bad boys!